The class of creatures called “rodents’ actually encompasses much more than just mice and rats. It refers to any animal whose incisor teeth continue to grow, so they must continually gnaw in order to keep them serviceable. 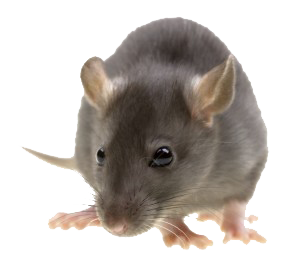 Removing rodents can sometimes be as easy as setting a mouse trap; but a larger infestation (especially with rats or larger rodents) can be a larger issue. Rats especially, are smart and can learn to avoid traps. Rodents can carry up to thirty-five diseases that humans are susceptible to; which is another reason to eliminate them as soon as possible. Cleaning up after a rodent infestation also requires a great deal of caution. This is necessary because of the possibility of fleas or mosquitoes, which may transmit their own disease to you, your children, and your pets. There is also risk involved if you inadvertently stir up the dust of their nests; it can be hazardous to breathe in the bacteria contained within. Rodents can also do physical damage to your home or business. They easily chew through some types of siding and other building materials. They are also known to chew on electrical lines, thereby increasing the possibility of fire. They damage other materials as well, creating holes and gnawing on numerous objects, especially food or food containers.